It is a privilege and an honour to lead this successful and vibrant all-through school. Preston Manor has an excellent reputation, committed staff, dedicated governors and supportive parents. We all value working in partnership together with our young people to achieve the best outcomes for every student. Here at Preston Manor School children have the unique opportunity to stay with us throughout their school career, making lifelong friendships and moving smoothly from one phase to the next. Our community is rightly proud of this school and its successes from the consistently high performance in public examinations to the wide range of enrichment activities we offer. At Preston Manor we wish to instil an enjoyment of learning and a desire to always learn more. We have the highest ambitions and expectations for every student in all aspects of school life and strive to nurture these qualities in every child. We want all children to fulfil their potential both academically and socially so that they leave us with the widest range of choices open to them and prepared for a globally changing future. Underpinning our educational philosophy are the values of the Co-operative Trust and developing a ‘growth mindset’ in all our students. Nurturing development of the ‘whole child’ is of key importance to us. We believe the character, life skills and confidence to be gained from this approach are beyond measure. 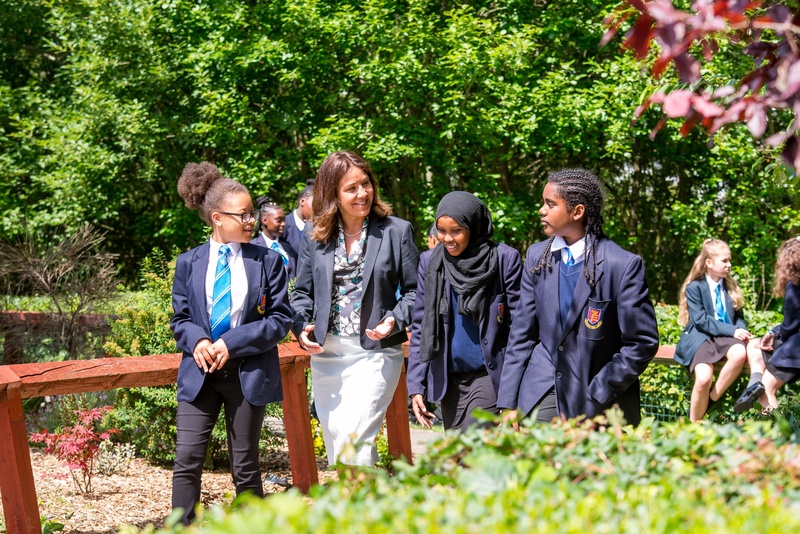 We also offer a broad curriculum and know that excellence will be achieved by constantly providing students with appropriate challenge, raising aspirations, and insisting that good behaviour enables great learning. Our school is a harmonious and respectful one, where in line with our school’s crest, students agree that with rights come responsibilities. Preston Manor is a very inclusive school. Our young people are treated as individuals, we celebrate diversity and we are strongly committed to equality of opportunity. We value the partnerships we have with families and the wider community, the quality of relationships we build, and the rich variety of backgrounds and experiences that our students bring to Preston Manor. As a Co-operative Trust school, we enjoy working with and learning from other schools both in the local community and beyond. We take pride in our caring ethos and welcoming atmosphere and strive to make all who visit feel our hospitality. At Preston Manor we seek to provide an education that enables our students to gain university places of their choice, the desire to continue learning lifelong, the skills needed to be successful in the workplace, and the ability to be emotionally aware. It is our ambition for students to leave us well prepared to be an active citizen of both today and the future. I hope that you will find the website both stimulating and informative, or alternatively, please arrange a visit to our school. I am confident you will recognise our commitment to making school memorable by striving for excellence. A very warm welcome to Preston Manor Upper School's website. Preston Manor School has been at the heart of the local community for 80 years and we are proud of many great achievements over these decades. We have high expecations of our pupils and also aim to make school memorable for all. We hope that you find the content placed on the website for you to be helpful. If you have any feedback or suggestions on how the website can improve then please email to: info@preston-manor.com . Thank you.